“I enjoyed the idea of the two surfaces being connected”. 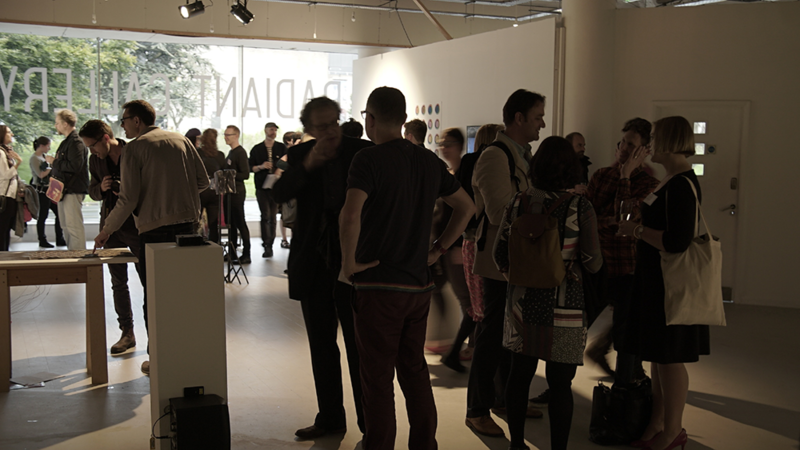 “The way the work was exhibited brought together visitors. A novel experiment in digital fabric/connectivity”. In evaluating people’s encounters with the surfaces, I wanted to move beyond use-case scenarios to question the presence interactive, touch surfaces might have in our daily lives to generate emotional expressions, improvised action and meaningful interactions. 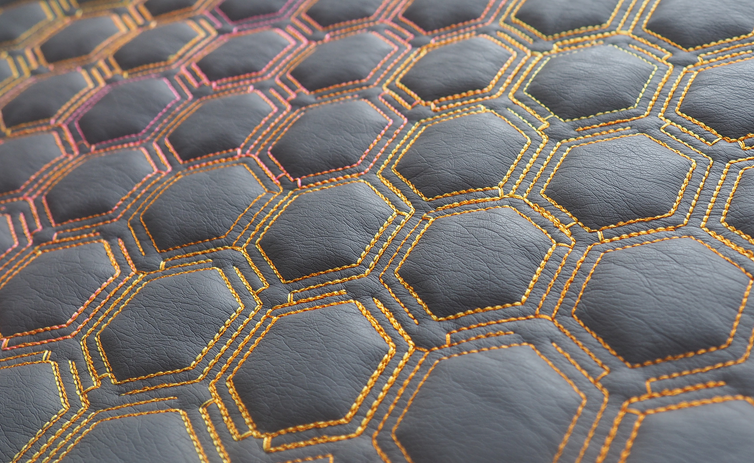 “The materials felt lively, and warm and engaging”. “The tactile nature of the exhibit. I had a natural impulse to stroke the work. I was also drawn to the pattern on the work and the lights. I thought the installation of it was beautiful”. Before collecting participant responses, we tried to ask ourselves which material qualities were of particular interest. Was it the textural, dynamic, durational or sonic? 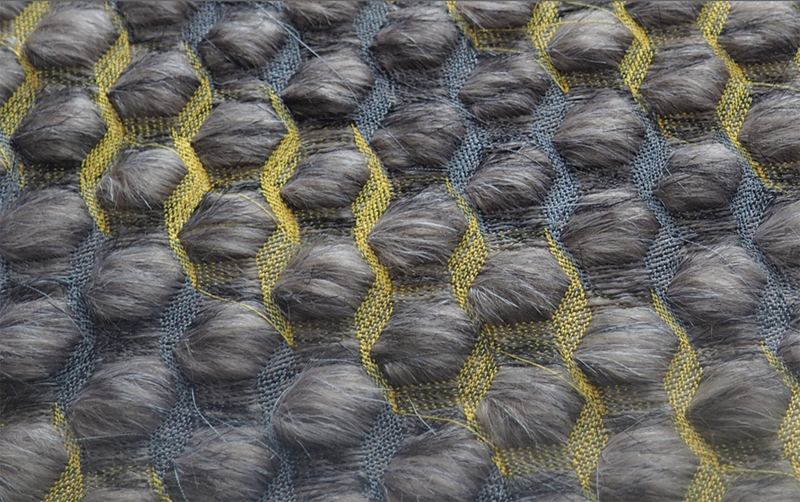 Or perhaps the familiar nature of the textile, which invites engagement as well as the interplay between the material properties and how they work together. These decisions and combinations affect the overall experience, the type of sensation and expression that emerged. Vibro-Tactile feedback uses tiny motors to create waveforms and compositions that can be applied to the skin. 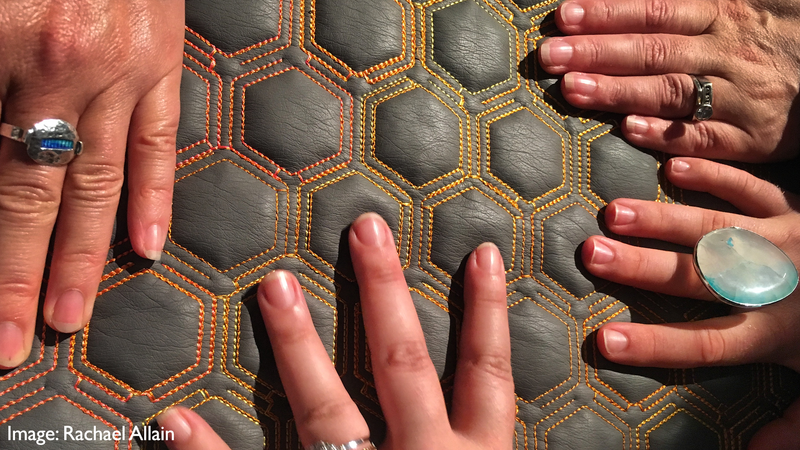 The sensations stimulate receptors on the skin and have been used in haptic research to reproduce the sense of touch.